Even the notoriously frugal Buffett splurges when it comes to convenience. Here is how you, too, can travel like the billionaire mogul. Billionaire investor and Berkshire Hathaway (BRK.A - Get Report) (BRK.B - Get Report) CEO Warren Buffett is known for his legendary frugality almost as well as he is for his legendary investments. Buffett eats the same $3.17-or-less breakfast from McDonald's (MCD - Get Report) every morning and has lived in the same modest, four-bedroom Omaha house since 1958. But when it comes to traveling, Buffett is sometimes -- and only sometimes -- willing to splurge. Here's how to travel like Warren Buffett, from hitting the road to hitting the skies. For the Road, Keep It Simple and Cheap. 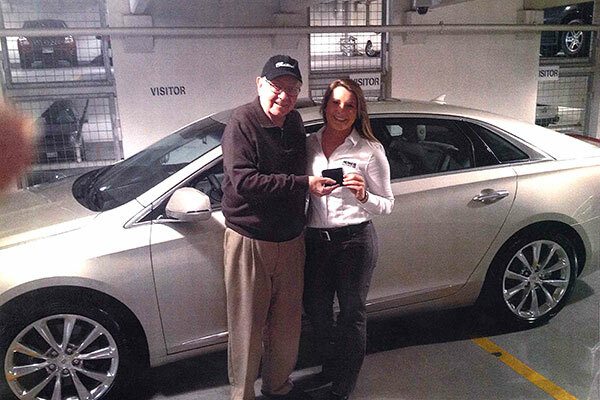 For all his wealth, Buffett drives a modest everyday car. In 2014, he traded in a General Motors Co. (GM - Get Report) 2006 Cadillac DTS to buy a 2014 Cadillac XTS. The basic model retails for about $61,000. The billionaire could afford a personal driver, to be sure, but he makes the five-minute trek from his home to the Berkshire Hathaway office every morning in his own car. The 87-year-old Buffett said in a BBC documentary that he only drives about 3,500 miles per year, so a fancy car isn't particularly necessary. According to the Federal Highway Administration, the average American male 65 years or older drives 10,304 miles in a year. For the Sky, Splurge a Little if You need To. Buffett long criticized the use of private jets by CEOs and magnates so much so that when he broke down and bought his own private Bombardier Challenger jet over two decades ago, he ironically called it "The Indefensible." Fast forward a few years and Buffett renamed his plane "The Indispensable," given how much he came to rely on it, according to Forbes. To Buffett, the only reason to own a private jet is for convenience. With a busy travel schedule, Buffett found flying private makes his life easier and better. A private plane can often transport you to smaller or more distant airports without waiting on a connecting flight or dealing with pesky airport holdups. Even business class travelers can't bypass the nightmarish setbacks of crew delays or mechanical problems. Not too sure if Buffett holding American Airlines (AAL - Get Report) would agree. And If You Like It, Why Not Buy It? Buffett came to love private jet travel so much that he bought a private jet leasing company called NetJets in 1998. NetJets lets users buy shares of private jets as fractional owners or lease and buy the aircrafts outright. The jets can be shared like a timeshare and ready to use upon request. During busy times, NetJets promises its customers they'll fly on a jet of equal or better value if theirs is being used by another owner. "It's not inexpensive. It's something you've got to be prepared to take on, but when people do, they describe it as something they would never give up," NetJets CEO Jordan Hansell told Yahoo. Hansell said the Buffett family has flown over 5,000 hours on NetJets planes. Entry level packages on NetJets get you about 25 hours of flight time for between $120,000 and $130,000. Prices go higher from there, up to as much as $65 million to buy your own NetJet.